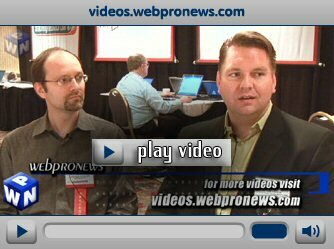 The WebProNews video blog posted an interview Mike McDonald did with myself and Stephan Spencer during the Chicago Search Engine Strategies conference where we talk about marketing and public relations issues with blogs and social media. Congrats to Mike, Chris and Richard on a great job with these videos! Excuse me for being so straight: What is this blog all about? I admire your perspectivic concepts, but I can’t uderstand this blog. You say it is about transparency- ’cause you also want to sell services, don’t you? But why do you need readers like me? I’m from Hungary which has at least 5-8 years handycap where our information-society stands at the moment. I read your blog because I’m interested in online communication. But I think, if I would be a potential customer for you then theese huge amount of great and valueable content you produce would be overwhelming for me. To say it in a simple way: I feel your blog is mainly for insiders, not outsiders. Of course it has nearly all of the benefits, you mentioned in the interview. But does it worth, if not perfectly for the market you targeted? Lee – i was very pleased that you chose to explain social media and search in extremely simple, easy-to-grasp terms. 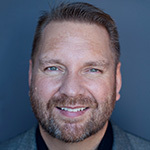 In my role as an interactive marketing professional I’m constantly fighting the cumbersome “industry-speak” pertaining to social media and online pr – I think it does a disservice to our efforts to coax clients to embrace these forms of marketing communications. The suggestion to ‘shift’ from microsite to wordpress ‘area’ was very helpful – not too hard tactically to implement; good leap forward in learnings on the back-end. Any good tips for those of us working towards engaging the blogosphere in pharmaceutical marketing?